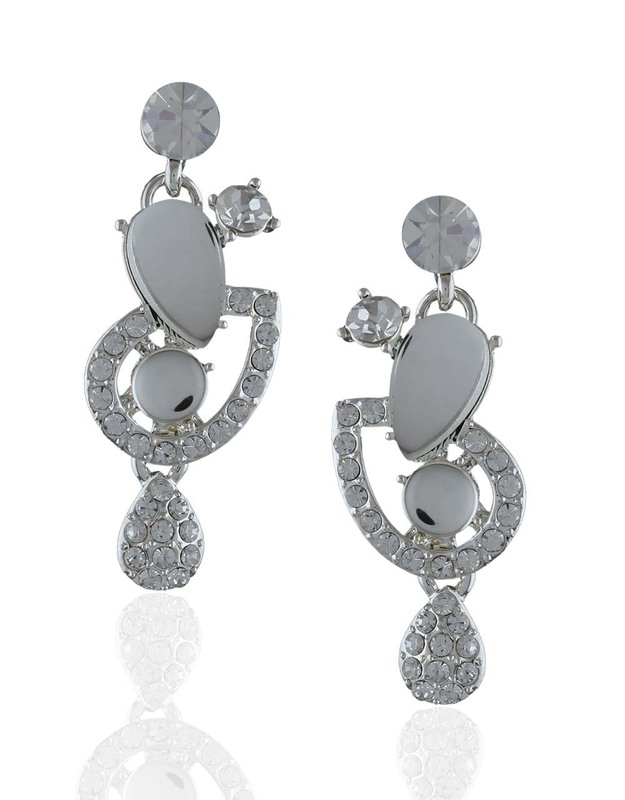 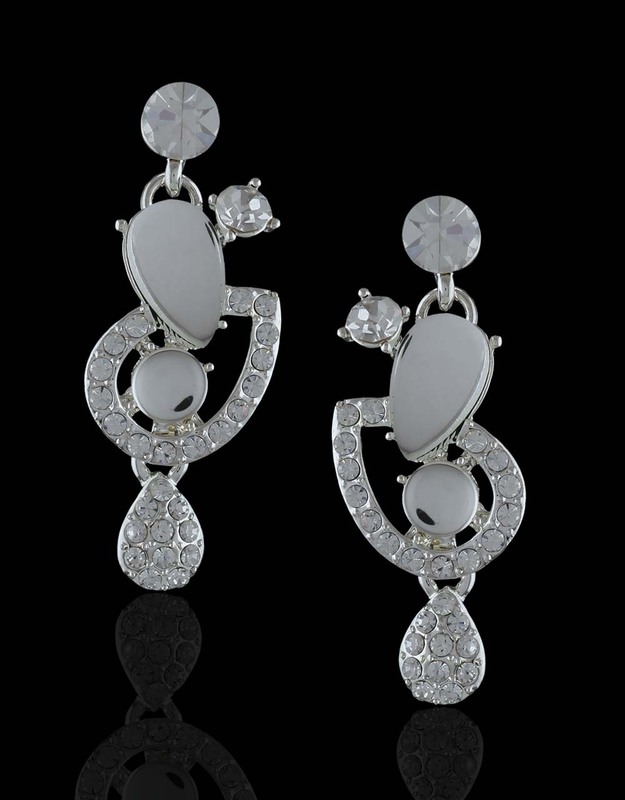 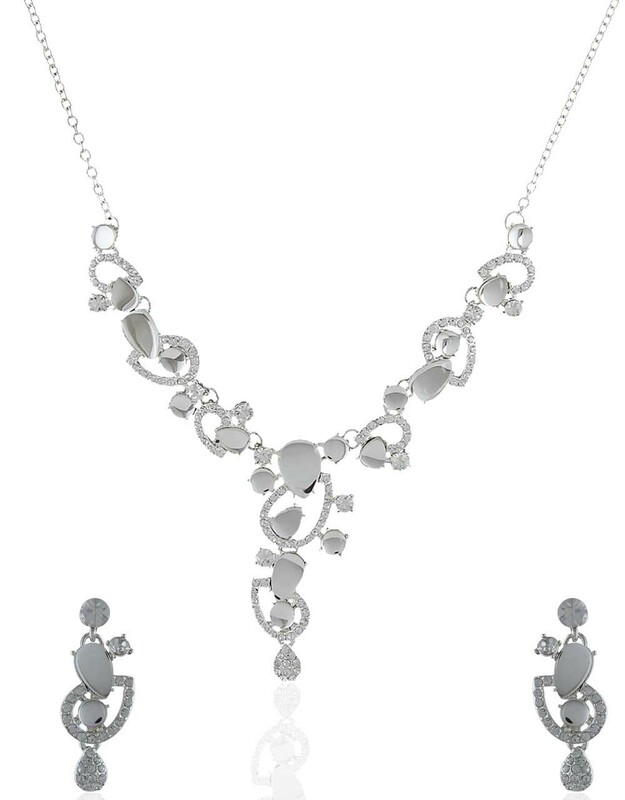 Dazzling white stones embedded necklace set is beautifully designed for you. 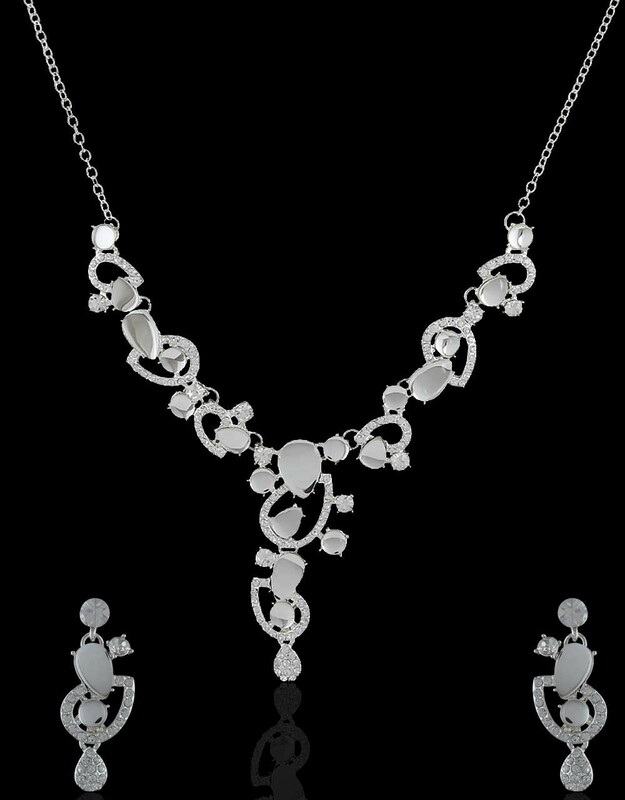 Crafted from silver polished Korean metal. 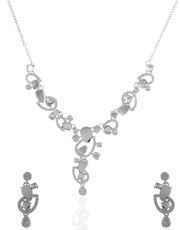 This set will please every eye that sets on it. So order now & get that charming look.